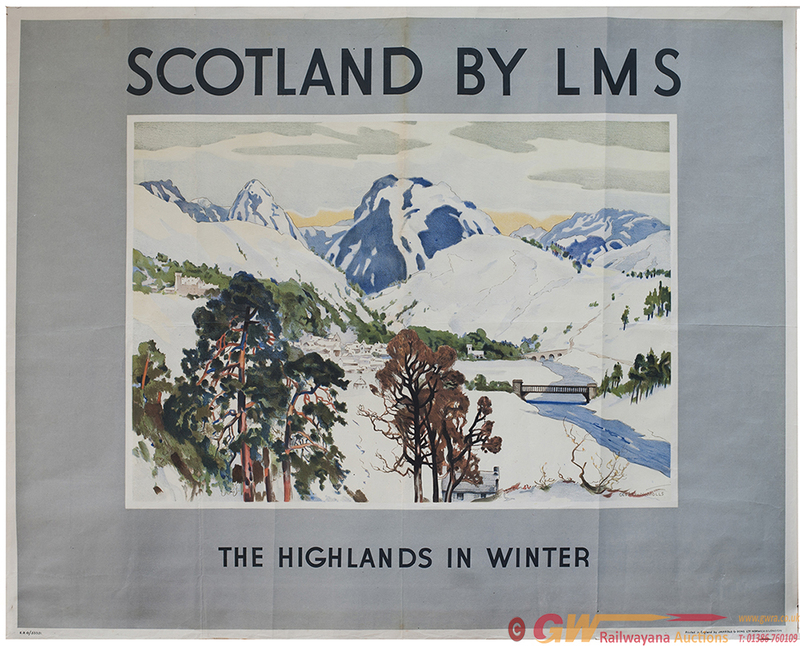 Poster LMS SCOTLAND BY LMS THE HIGHLANDS IN WINTER by George Nicholls. Quad Royal 40in x 50in. In very good condition with folds.